See images above for dimensions and color options. Never Needs Paint. Color is molded throughout so chips, scuffs and scratches can't be seen. Never Fades. UV inhibitors are built into the material. Never Rusts. Material is 100% polyethylene. Never Gets Stress Cracks. This unique material is not affected by road vibration. Never Needs Polishing. Simply clean with soap and water. Lifetime Warranty is Standard. No matter what the job, we've got your back. These thermoformed high-density polyethylene fenders bounce right back when dented or crushed. 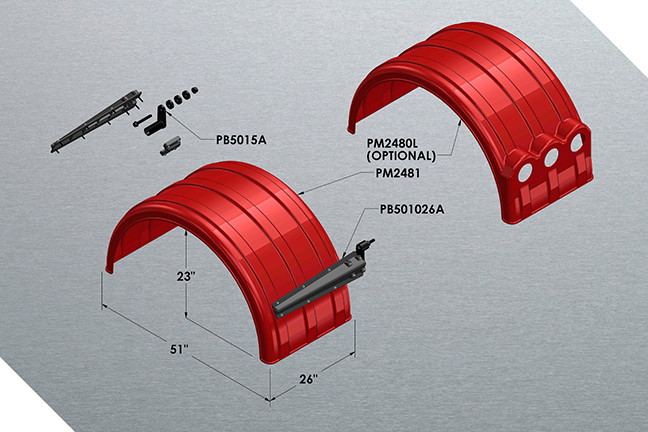 They're extremely durable and impervious to salt and corrosion. 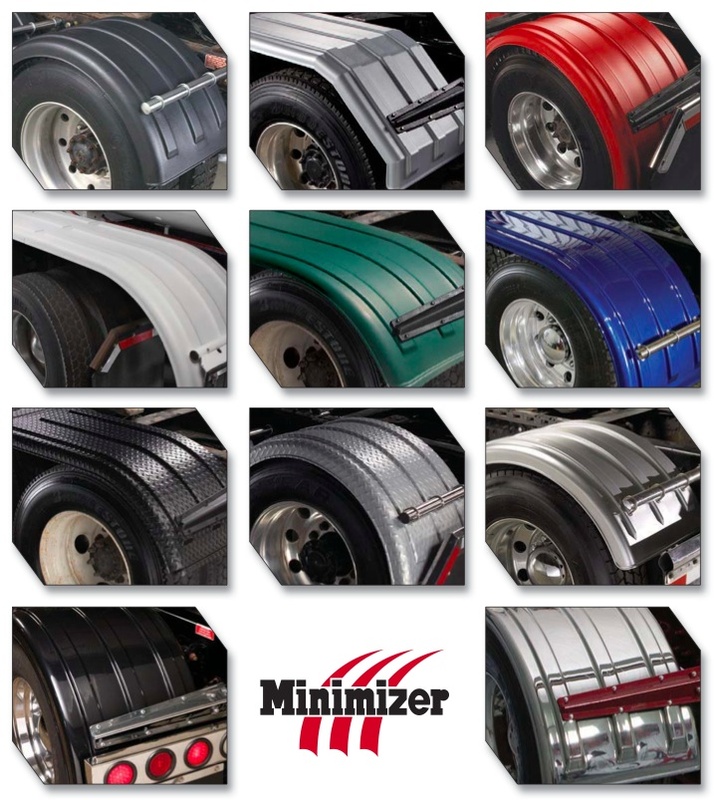 Plus, they withstand temperatures ranging from -100 to 197 degrees F. The Minimizer fender itself should never need maintenance other than the occasional wash using soap and water or any all purpose cleaner. 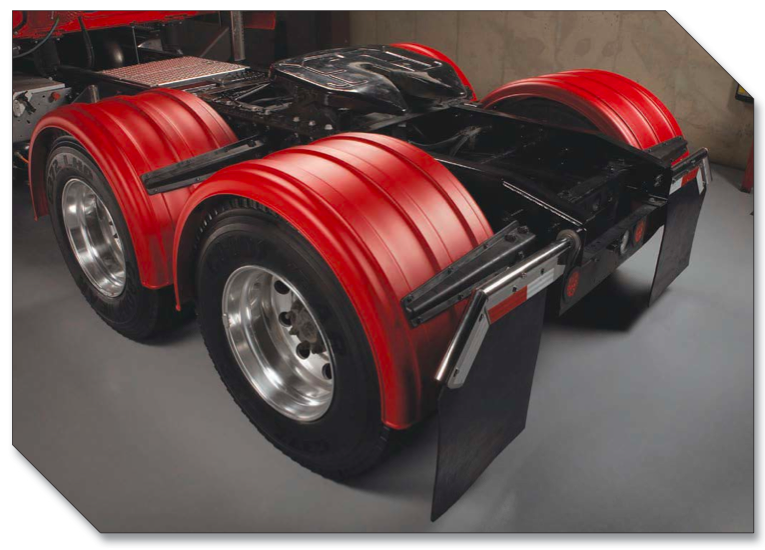 Pair these fenders with Minimizer's plastic bolt-on brackets for a fender system that can take just about anything you can throw at it. Copyright Rhodes Works. All Rights Reserved.